Summary: The SMPS Northeast Regional Conference brings together innovative thinkers from across multiple industries, geographies, and SMPS chapters to discuss the ongoing transformation of A/E/C marketing. Location: Jake & Joe's in Norwood, 475 Providence Hwy, Norwood, MA 02062 Talk: Workplace of the Future: What tenants want Presenter: Lisa Nickerson Summary: Get more contracts. Retain your customers. Build your clientele. Increase job sizes. Improve income. Sound good? Hear what Lisa Nickerson has to say to help you help yourself and your business! Founder and Principal of Nickerson & Nickerson RE, Lisa Nickerson, will moderate Bisnow’s event on Boston’s Major Projects. This engagement offers insightful facts and various opinions about the future developments in and around the city of Boston. Neighborhoods and environments are being strategically designed and created to help build an atmosphere that properly reflects Boston’s diversified culture. Multiple developers have seen the importance and high demand for mixed- use properties and know they will continue to attract multiple groups of people. These new projects are not only confined within the city of Boston, but have been quickly spreading throughout the city’s surrounding suburbs. Topics will include new development trends throughout the city and state of Massachusetts. Lisa Nickerson the Principal and founder of Nickerson & Nickerson RE will moderate one panel out of two, regarding Bisnow’s Future of Downtown Event. This engagement offers insightful facts and various opinions about the past, present, and bright future of this bustling city’s central hub. The discussion will touch base upon many current developments and potential plans for Downtown in regards to commercial, residential and industrial real estate as well as the opportunities and challenges of living and working in the area. Discussions will also include future developments and the influences that prompted the revitalization of Downtown. Lisa Nickerson, the Principal and founder of Nickerson & Nickerson RE leads the latest discussion on the current state of the Seaport as moderator for one of three panels at Bisnow’s State of the Seaport event! This event offers insight into the past, present, and future of the Seaport district, touching on commercial, residential and industrial real estate as well as the opportunities and challenges of living/working in the area., accompanied Nickerson during their panel discussion of the current state of the Seaport. Nickerson will discuss topics on how the Seaport District is presently viewed by Bostonians to the amenities, public spaces, and neighborhoods found within the area. How can you embrace your power and use it to your advantage? How can you authentically assert your influence to create a successful career path on your own terms? How can you leverage your power to achieve you goals? A day to hear directly from professionals in your fields of interest while networking with employers. Jeff Johnson- SIOR, CCIM, Northwest Regional Director, Moderator. cost-effectively promote SIOR no matter the size of your budget. A panel of small business experts will answer all of your most urgent questions about marketing a successful business. The event will feature some of the most dynamic and accomplished leaders in the retail real estate industry and a rare opportunity to hear firsthand the secrets to their success. Public Relations and Marketing expert Lisa Nickerson will discuss the importance of branding and how to incorporate your experience, expertise and skill sets into forming your own personal brand. Nickerson will offer tips and strategies to best position yourself, advance your career, and enhance your standing in the real estate industry. Lisa Nickerson, Principal of Nickerson and Nickerson RE along with Matthew King, Director of Creative Services at Nickerson discuss how contractors are known for doing great work, but not necessarily known for marketing and promoting their skills. This could be costing many of them critical bidding opportunities, and big dollars in potential project work. That’s why ASM is holding this special seminar on the importance of marketing and branding for construction industry firms. Lisa Nickerson and Matthew King will discuss their significant expertise in the AEC and real estate industries. The presentation also will include specific examples of how companies have used marketing efforts to grow their business in good economies, and hold steady during bad economic times. And we’ll include time for plenty of participant interaction and feedback. Present and identify key public relations trends specific to the real estate and AEC companies. Nickerson expanded upon the topics of risk management planning, managing crisis public relations and the important aspects of social media in the industry today. Additionally, she discussed social media and how it relates to the construction industry. Featuring: Lisa Nickerson, BC ’95 - President and Founder of Nickerson PR, a public relations firm that services most of Boston’s top real estate companies Jason Denoncourt, BC ’00 – Project Manager for The Gutierrez Company, one of the area’s top real estate development firms. 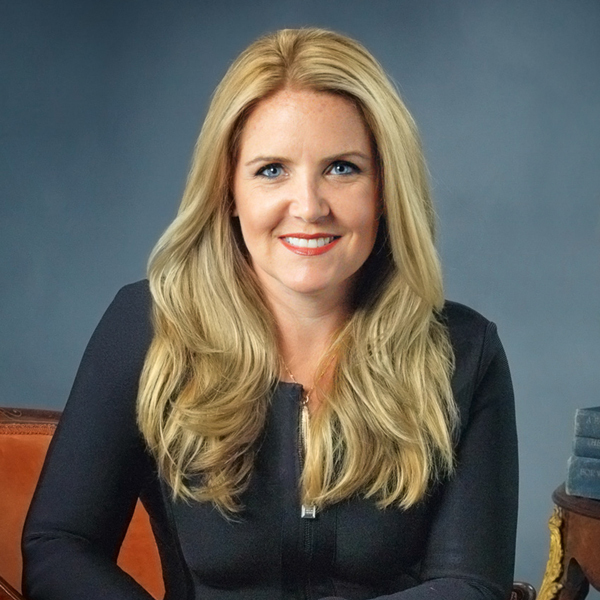 As founder, principal of the firm, and leader of its Executive Team, Lisa Nickerson is at the company helm, overseeing business operations and driving business growth. She provides senior leadership on the firm’s public relations initiatives. She also leverages her more than 20 years experience in the real estate market to guide the company’s real estate and A/E/C industry accounts.